a (swoon!) engaged couple. 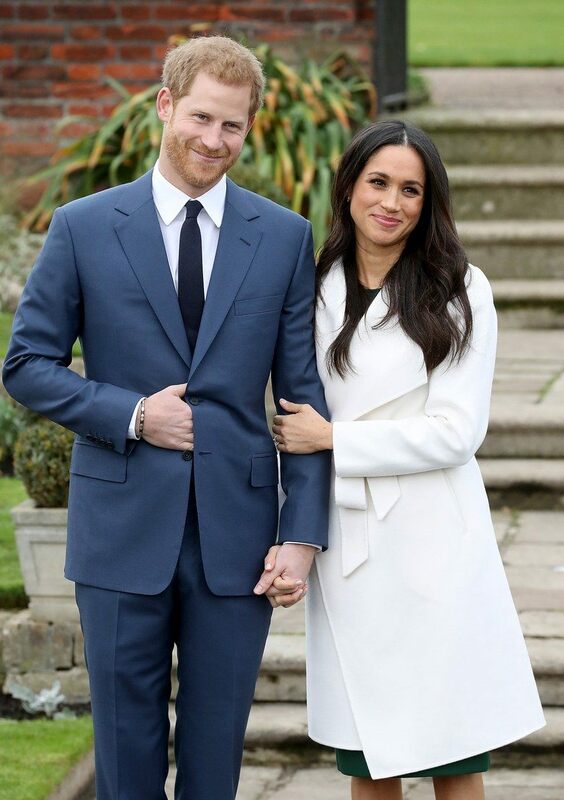 Linking arms and holding hands, they posed for a couple of photos in the White Garden, a place with strong associations to Harry’s late mother, Princess Diana. Meghan wore a stunning white coat while Prince Harry opted for a navy blue suit. Albeit brief—a longer interview will air on BBC later today—it was still the most the public’s ever heard him say about his relationship, with the notable exception of his November 2016 statement in which he condemned the press for harassing Markle and her family.